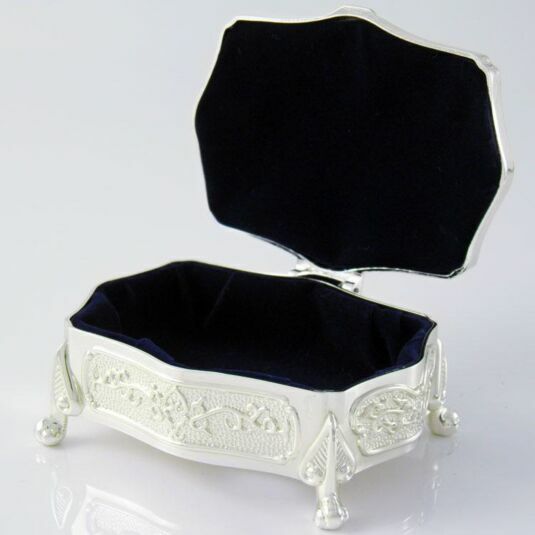 This silver finish trinket box is decorated with ornate embellishment and stands on sculpted feet. The lid opens on a single hinge to reveal an interior upholstered in soft velveteen fabric. 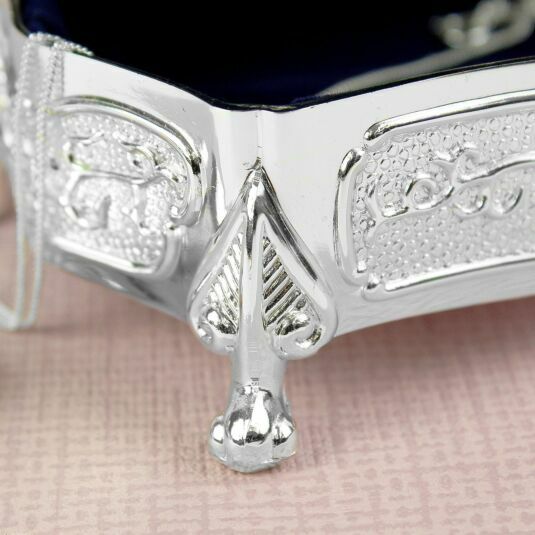 The lid top has a polished area which may be inscribed with a personal message for the recipient. 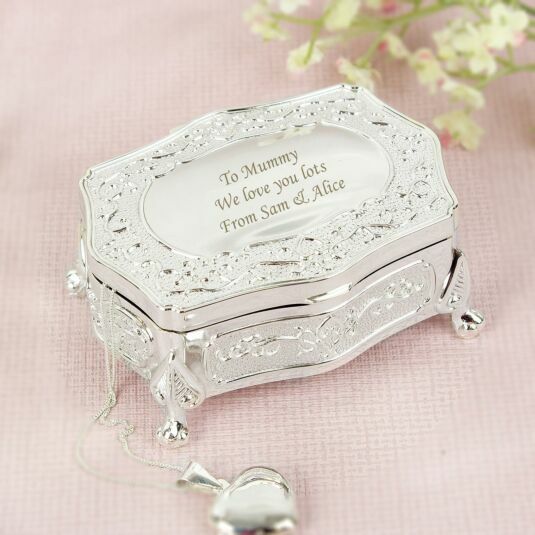 The box is perfect for holding keepsakes and treasured pieces of jewellery, and is the perfect romantic gift for Valentine’s Day, special birthdays or as a Wedding day memento. 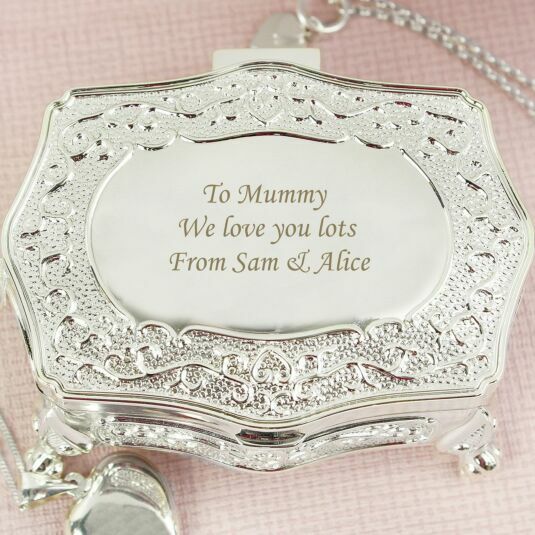 Add a message across 3 lines, with a maximum of 20 characters per line, to appear on the lid.